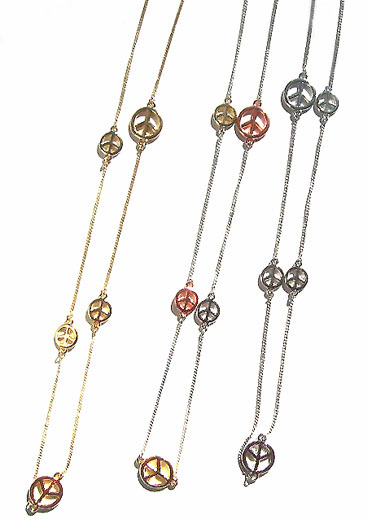 peace signs on a silver chain. can extend to 40" (91-102 cm). twice for a shorter look.